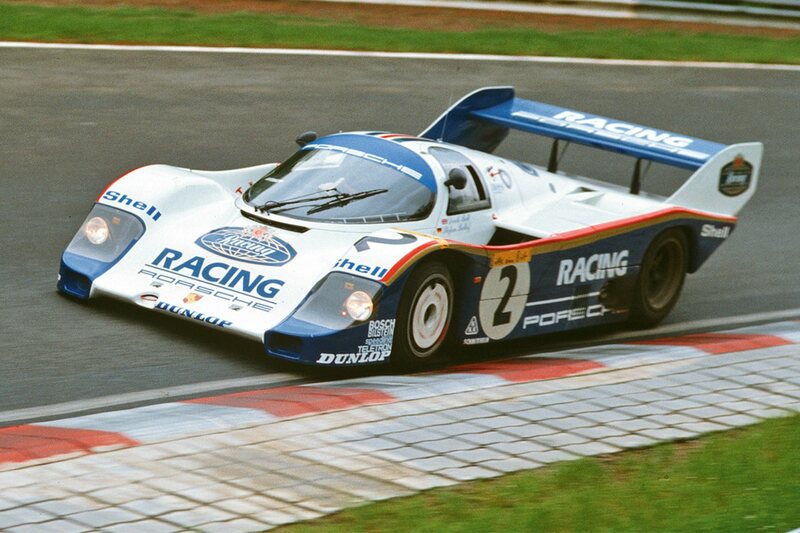 On May 28th, 1983, Stefan Bellof started a flying lap of the Nürburgring Nordschleife in a Rothmans Porsche 956 C during qualifying for the 1000km WEC sports car race. As he crossed the line in a then record time of 6m 11.13s, Stefan couldn’t have imagined that time would remain uncontested for over 35 years. 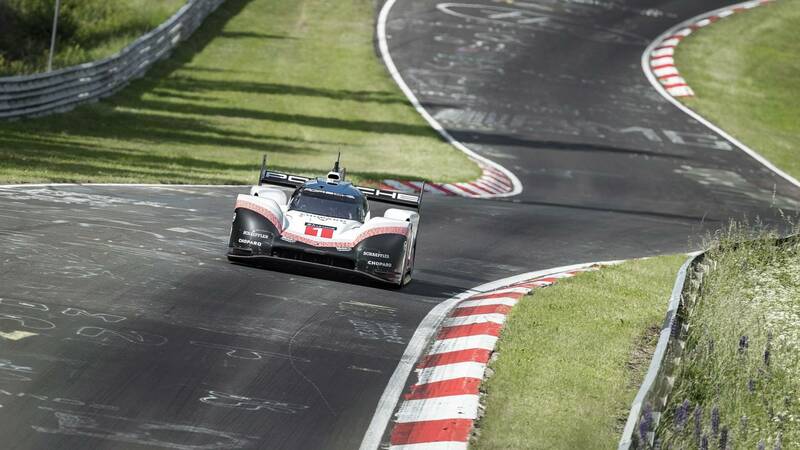 On the morning of 29th June, 2018, that record would be finally beaten, in fact smashed by over 51 seconds, with Timo Bernhard driving the Porsche 919 Hybrid Evo around the 20.832km race circuit in 5m 19.55s. This results in an average speed of 233.8 km/h (145.3 mph) on what is revered by race drivers, engineers and enthusiasts alike. 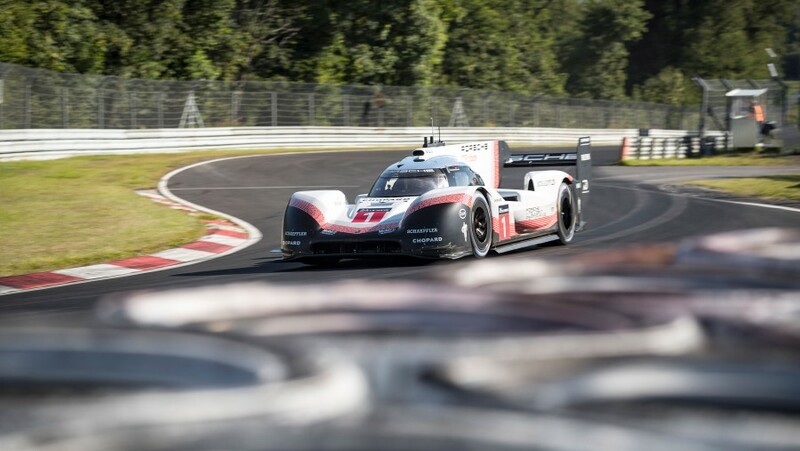 The incredible record comes only two months after driver Neel Jani gave the modified Porsche 919 Evo a shakedown at Spa in Belgium, resulting in a new track record, lapping faster than the existing Formula 1 record set by Lewis Hamilton in 2017. The Porsche 919 Hybrid Evo may look familiar, as it is based on the car that took outright victory at the Le Mans 24-Hours and won the FIA World Endurance Championship in 2015, 2016 and 2017, but it has now been unleashed from the WEC regulations, allowing Porsche to tweak the power train and aerodynamics. The 919 hybrid power train, is in of itself a feat of engineering. The base power is derived from a two-litre turbo charged V4-cylinder engine, plus two energy recovery systems – brake energy from the front axle combined with exhaust energy. The combustion engine drives the rear axle while the electro motor boosts the front axle to accelerate the car with four-wheel drive. At the same time it recuperates energy from the exhaust system that otherwise would pass unused in to the atmosphere. The electrical energy that comes from the front brakes and the exhaust system is temporarily stored in a liquid-cooled lithium ion battery. Removing the FIA imposed fuel flow restrictions from the V4, and equipped with updated software and regular race fuel (E20, containing 20 per cent bio ethanol), the Evo version increased engine power significantly from 500hp to 720 hp. Because the amount of energy from the two recovery systems that could be used was limited in the WEC championship in terms of electric megajoule per lap, the systems stayed far below their potential. With full boost now being available, the e-motor output increased by ten per cent from 400 to 440 hp. To ensure the car stayed glued to the road at such extreme speeds, the engineers also updated the aerodynamics of the 919 Evo. The new, larger front diffuser balances the new and very large rear wing, both of which have actively controlled drag reduction systems (DRS). The hydraulically operated systems trim the trailing edge of the front diffuser and opens up the slot between the rear wing main plane and the flap respectively in order to reduce drag. Combined with other aero tricks, the modifications resulted in 53 per cent higher downforce and an increase in efficiency by 66 per cent compared to the 2017 WEC spec vehicle. Driver Timo Bernhard certainly had the credentials to handle this hyper fast race car at this unforgiving racetrack, with a with a resume that includes five overall wins at the Nürburgring 24-hours, outright winner of the Le Mans 24-hours twice and is reigning World Endurance Champion with the Porsche 919 Hybrid. Despite knowing the track like the back of his hand, Bernhard would have had to recalibrate his brain to cope with the speed at which each corner was coming up in front of him. “Thanks to the aerodynamic downforce, I was flat out at sections I never imagined you can stay on full throttle. I’m pretty familiar with the Nordschleife. But today I got to learn it in a new way”, said the 37-year old German. The speed and grip of the car during the lap of the Nürburgring has to be seen to be believed and the on board video has gone viral since being published. If you have not had a chance to sit down for those 5m and 19s in front of the computer or TV, do yourself a favour, and try not to giggle.